Are Steelers Regressing to Mean or is Pittsburgh Primed for a Breakout? 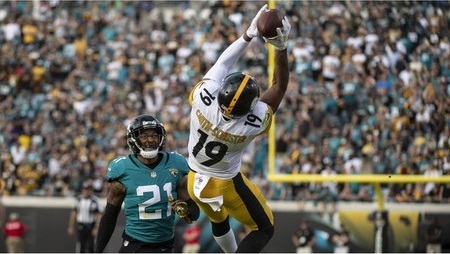 This entry was posted in Steelers 2018 Season and tagged Antonio Brown, Art Rooney II, Art Rooney Sr., Artie Burns, Ben Roethlisberger, Bud Dupree, Chris Boswell, James Conner, Jesse James, Joe Greene, Joe Haden, Jon Bostic, JuJu Smith-Schuster, Pittsburgh Steelers, Ryan Shazier, Sean Davis, Steelers vs. Raiders, T.J. Watt, Terrell Edmunds, Terry Bradshaw, Vance McDonald. Bookmark the permalink. How Many Ben Roethlisberger Passing Attempts = Too Much Passing for the Steelers?